Configure WinRM and user token delegation (CredSSP). Configure Windows Credential Delegation using the Credential Security Service Provider (CredSSP) module. Use ConvertTo-SecureString in the PowerShell code. Configure PowerShell execution policies and allow execution of files downloaded from internet (Optional/Scenario specific). 12/02/2016 – Updated “Edit the Kerberos Domain realm on the vCO Appliance” chapter. 12/01/2016 – Added “Security Hardening Chapter” chapter. Updated “Security Conciderations” chapter. 11/30/2016 – Added “Security Conciderations” chapter. In this post we will take a look at common difficulties and challenges when using VMware vCloud Orchestrator Server (vCO) in combination with Microsoft Windows PowerShell to achieve remote script execution of PowerShell code. Execute remote PowerShell commands. In this scenario you are running a vCO workflow that executes PowerShell code on ServerA and the code itself needs to access ServerB. Access to mapped network drives through vCO: In this scenario you are running a vCO workflow that executes PowerShell code which needs to access locally mapped network drive on the PowerShell host or remote network share on remote host. Run a PowerShell script (.ps1) file from within a PowerShell script: In this scenario you are running a vCO workflow that executes PowerShell code which calls an external PowerShell script (.ps1) file and executers it. The file can be located locally on the PowerShell host, on a locally attached/mapped share on the PowerShell host or share on a remote host. User Access Control (UAC) is enabled – Conceder a simple use case. After you provision a Windows VM , which has UAC activated, you want to add domain user/group to the VM’s local administrators group. This requires elevation of permissions. Change permissions in a script – Conceder a simple use case. You have a script that many operations. Some require the use of administrator/elevated permissions , other do not. Changing permissions requires CredSSP. Execute PowerCLI commands – WF executes a PS commands that connects to PowerCLI and then connects to vCenter/ESXi host. In this case you also need to supply additional credentials. Azure Integration – Requires CredSSP, depending on what authentication and SSO is used. All of these scenarios require the need of user token delegation. Windows Remote Management (WinRM) supports the delegation of user credentials across multiple remote computers. WinRM is Microsoft’s implementation of the WS-Management protocol, a standard Simple Object Access Protocol (SOAP)-based, firewall-friendly protocol that enables hardware and operating systems from different vendors to interoperate. The multi-hop support functionality can now use Credential Security Service Provider (CredSSP) for authentication. 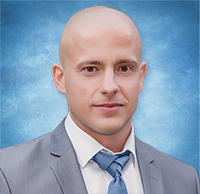 CredSSP enables an application to delegate the user’s credentials from the client computer to the target server. Unfortunately this authentication is not supported by vCO PowerShell plugin at the time this article is being written. So, what can we do in order to be able to achieve the desired results in the two scenarios above. PSHost: Configure WinRM and user token delegation (CredSSP). There are some security considerations that you should be aware of before enabling CredSSP on Windows. WS-Management encrypts all traffic by default and this is controlled by the AllowUnencrypted client and server WinRM configuration parameter. Even if you only work with HTTP (which is the default configuration) and not with HTTPS. Prior to Windows Server 2003 R2 this WInRM in an HTTP session is not encrypted. By default, PowerShell remoting authenticates using a “Network Logon”. Network Logons work by proving to the remote server that you have possession of the users credential without sending the credential to that server (see Kerberos and NTLM authentication). Because the remote server doesn’t have possession of your credential, when you try to make the second hop (from Server A to Server B) it fails because Server A doesn’t have a credential to authenticate to Server B with. An additional layer of protection can be added by using WinRM with HTTPS . HTTPS doesn’t just add another encryption layer; its main purpose is to verify the authenticity of the remote machine, thereby preventing man-in-the-middle attacks. Note also that the WinRM configuration outlined in this article is for PoC purposes. Once you have everything up and running you should consider hardening the configuration. The first thing that need to be configured, if not already done when adding the PowerShell Host(s) in vCO is to configure the WinRM Service and Client on the PowerShell Host(s). The client cannot connect to the destination specified in the request. Verify that the service on the destination is running and is accepting requests. Consultthe logs and documentation for the WS-Management service running on the destination, most commonly IIS or WinRM. If the destination is the WinRM service, run the following command on the destination to analyze and configure the WinRM service: “winrm quickconfig”. Note: If you are not running under the local computer Administrator account, you must either select Run as Administrator from the Start menu or use the Runas command at a command prompt. Cannot create a WinRM listener on HTTPS because this machine does not have an appropriate certificate. To be used for SSL, a certificate must have a CN matchingthe hostname, be appropriate for Server Authentication, and not be expired, revoked, or self-signed. This is because no certificate matching the machine name is found on the local computer certificate store. Such certificate is needed in order to allow HTTPS communication. Make sure to get such certificate and install it on the local computer before you continue. ListeningOn = 127.0.0.1, 192.168.1.1, 192.168.2.1, 192.168.3.1, 192.168.4.1, 192.168.5.1, 192.168.6.1, 192.168.7.1, ::1, fe80::5efe:192. Both HTTP and HTTPS listeners are enabled. Both HTTP and HTTPS listeners are listening for connections on all IPv4 and IPv6 addresses. Run the following command to enable basic authentication on the WinRM service. Run the following command to enable Kerberos authentication on the WinRM service. Run the following command to enable basic authentication on the WinRM client. Run the following command to enable Kerberos authentication on the WinRM client. Note: make sure to refer to the Security Hardening and Security Considerations chapters later on for more information about the security implications this WinRM configurations may pause. All of the above changes and more can be made for a group of servers in the domain or for all servers in the entire domain via windows group policy object. The Windows WinRM GPO’s can be accessed as follows [start > run > gpmc.msc (find the computer OU of the servers and edit the existing or create new GPO) > Computer > Policies > Windows Components > Windows Remote Management (WinRM)]. This can streamline, standardize and automate the WinRM configuration throughout the domain or selected number of PowerShell hosts. Both listeners are enabled on default ports. I’ve added all my PowerShell hosts which will take part of the script execution as TrustedHosts. Although this is not needed as both of my PowerShell hosts are members of the domain, this has been done for teaching purposes. 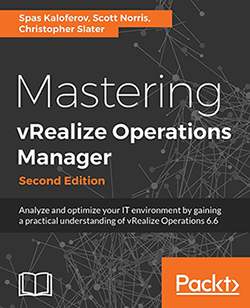 You may consider hardening the WinRM configuration after you have tested it with vCO and reached the desired results. A quick test using WinRS utility tool can be done in order to check if CredSSP has been successfully configured. The tool relies on WinRM to execute remote commands, especially for headless servers.. You can think of WinRM as the server side and WinRS the client side of WS-Management. Making a call to WinRM with WinRS Is the closest match to the call that vCO does to WinRM when it calls for PowerShell execution. To test a multi-hop authentication (CredSSP) and Kerberos authentication make a remote call to server lan1dc wither HTTP or HTTPS. The command calls LAN1DC1 and asks him to access remote share on LAN1DM1 (user token delegation). the following: WSMAN/myserver.domain.com or WSMAN/*.domain.com. 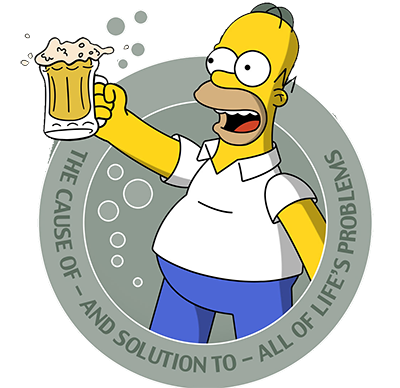 The errors is normal at this point as we haven’t configure everything needed for CredSSP to work. As this is our test lab we will enable these policies for the entire vmware.com domain, but normally this should be done only to the necessary servers. The WinRM service failed to create the following SPNs: WSMAN/LAN1DC1.vmware.com; WSMAN/LAN1DC1. If this warning occurs it is again normal as SPN’s may not have been configured for the WinRM service at this point. We will do this later in this post. In this use case i’ve aneblled CredSSP only on my Windows PS host. Depending on commands nad scripts you execute you might need to enable CredSSP on mulitple servers. As you have seen previously, indicated by Warning 10154 in the System event logs of the PowerShell hosts, SPN’s must be set for the servers taking part in the credential delegation. To set SPN’s for the WinRM service on LAN1DC1, run [setspn -S WSMAN/lan1dc1 lan1dc1] and [setspn -S WSMAN/lan1dc1.vmware.com lan1dc1] for both the hostname and FQDN name of the server. Make sure to do this on LAN1DM1 with corresponding hostname (lan1dm1) and FQDN (lan1dm1.vmware.com) also and any other server that might take part in the delegation. The error received was 0x8009030d. This happens because the user account under which the WinRM service is running doesn’t have access to the private key of the certificate that is being used for WinRM HTTPS communication. By default this should be the “NETWORK SERVICE” account. At this point I would like you to notice that if you issue a [dir /as] in the [C:\ProgramData\Microsoft\Crypto\RSA\MachineKeys] folder you will see a list of hidden files who’s names correspond to the [Unique container name] in the screenshot. 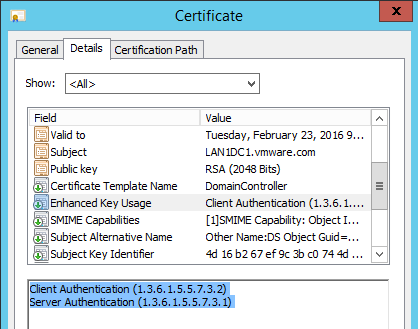 Check again the WinRM configuration and note the CertificateThumprint value. The CertificateThumprint value in WinRM must match the Key Hash value found for the certificate when running [certutil –store My]. Note than an offten typo is domain_reams instead of domain_realm. If you are working with the vRA Embedded vRO the file is located in /etc/krb5.conf. Following are screenshots from an example PS host configuration. If this is the case, go back and double-check the configuration. Now let’s test again CredSSP as we did before. To test a multi-hop authentication and Kerberos authentication make a remote call to server lan1dc1 over either HTTP or HTTPS. The command calls LAN1DC1 and asks it to list the contents of remote share on LAN1DM1 (user token delegation). This time you should get results listed. 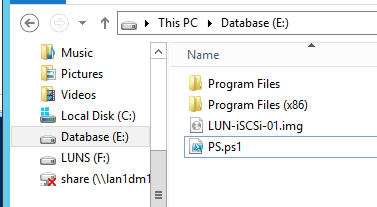 Now let’s move the PowerShell code [dir \\lan1dm1.vmware.com\share] into a PowerShell script file called PS.ps1 and copy the file on the local E:\ drive on the LAN1DC1 PowerShell host. We are selecting E:\ drive only for testing purpose, but this can be any other local drive on the host. Now test the CredSSP again, but this time specifying the PS.ps1 file. As expected this works again. The only change we have done is that we are not executing a PowerShell command directly, but have moved the PowerShell command into PowerShell script file and we are calling the PowerShell script file for execution. Not lest call this same PowerShell script file from vCO. In vCO I have already added both LAN1DC1 and LAN1DM1 as Powershell hosts and have used Kerberos for authentication. I have added these both as HTTP hosts and HTTPS hosts. We will use the [Invoke an external script] workflow to test the execution. This is the equivalent of running WinRS command above. Although you would expect this command to compete successfully, this swill fail with the error below. Notice the –ad switch we have used. This specifies that the user’s credentials can be used to access a remote share, for example, found on a different machine than the target endpoint. Problem is that when vCO calls WinRM it doesn’t include this option, so user credentials are not used to access remote shares. At least not in the current vCO PowerShell Plugin. The workaround for this is explained later in this post. For the sake of the example I have hardcoded the username and password that will be used to access remote shares. I have used the ConvertTo-SecureString which converts encrypted standard strings to secure strings to pass the credentials to the PowerShell script that will be executed. It can also convert plain text to secure strings . When running the Inveoke-Command cmdlet you need to specify the [–Authneticaiotn CredSSP] switch. Now if you go back in vCO and execute again the [Invoke an external script] workflow as we did previously, this should succeed and you should see the credential delegation in action. Once you get everything up and running you should spend some time securing you scripts and WinRM. Store you passwords as SecureStrings in vRO. Add the PS Host with HTTPS, and not HTTP to encrypt traffic b/n the vRO and the PS Host server. Disable WinRM HTTP Listeners on all Windows servers including the PS Host. Use only HTTPS listener to encrypt traffic b/n servers. 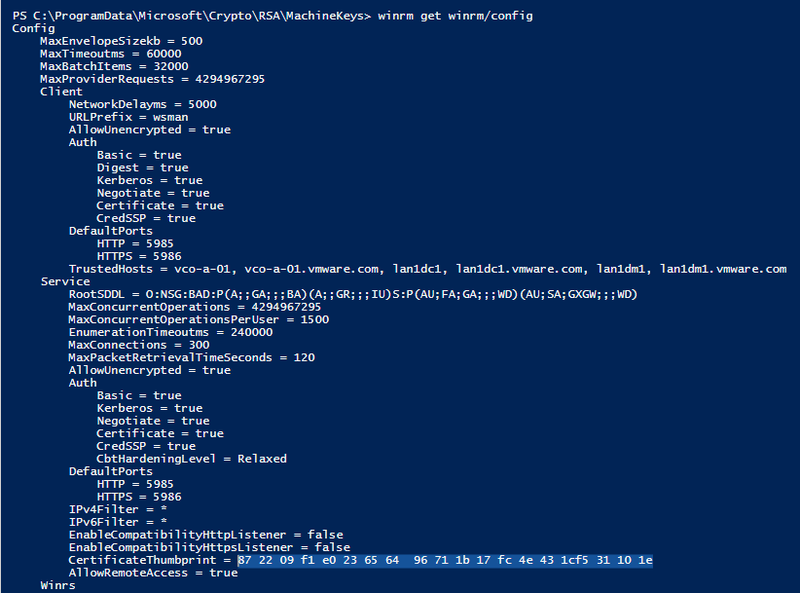 Disable WinRM AllowUnencrypted on all Windows Servers so that WinRM traffic is encrypted even if you use HTTP. Disable unused WInRM Authentication mentors. Use the –UseSSL switch with Invoice-Command commands to force HTTPS. Instead of hardcoding the credentials in the PowerShell script you can use the Add CredSSP to a Powershell Script vROC workflow. This way your credentials will remain safe as SecureString in vRO and encrypted in the vRO databse, and not exposed. The workflow is part of the com.SpasKaloferov workflow library package. Configure PowerShell execution policies and allow execution of files downloaded from the Internet. Now that we have configured CredSSP and successfully used it in vCO, let’s take a look at few more challenges that may arise when dealing with remote PowerShell execution. Taking our scenario further lets say that we have downloaded a script file (pwoershell/bat/vbs/ect..) from internet or from any other location using a browser. It can also be that someone else downloaded this script file and we have copied it from them via USB/HDD/CD or any other means of transport of information. Key point here is that the script file has been downloaded originally from the internet. This is because windows threads this file as downloaded from internet. Note: You can use Unblock-file (PowerShell v4 and above) to temporary allow access but in is not very usable in automation and scripts. Q: How does Windows determine that the file has originated from the internet? When file is downloaded from internet ADS stream is added and is used to store meta-information about the file. For example, the Zone identifier stores whether the file was downloaded from the internet. To check the ADS stream use the Get-Item PowerShell cmdlet as follows [ get-Item <Path_To_File> -Stream *] to list all streams for given file. This entry was posted in CredSSP, Powershell, VMware, vRO, WinRM and tagged credssp, double hop, multi-hop, powershell, SKKB1002, vco. Bookmark the permalink.